Most Libertarians look to voter registration numbers as a measure of the party’s strength in North Carolina. That may be a good measure of how well the party is doing, but it’s more of a measure of how poorly the old establishment parties are doing. Libertarian registration has steadily increased since the Libertarian Party of North Carolina gained more-or-less permanent ballot status in 2008. Meanwhile, the number of unaffiliated (independent) voter registration has surpassed the number of registered Republicans as voter registration for both of the old parties steadily declines. Independents may soon become the largest voting block in North Carolina. However, a better indication of how well Libertarians are doing are voting totals – how many North Carolinians actually vote for a Libertarian candidate. After all, the primary purpose of a political party is to get people to vote for that party’s candidates. Many more people vote libertarian than register Libertarian. During the years when the LPNC needed to get three percent of the vote in order to retain ballot access, their focus was on that race. The LPNC broke that barrier in 2008, the first time in NC history that any “third party” achieve this. And they did it again in 2008 and 2016. What is even more interesting is that in every gubernatorial election since 2004, the Libertarian candidate for lieutenant governor outpolled the candidate for governor. 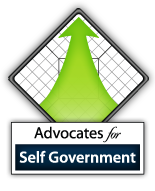 In two elections during that period, another statewide Libertarian candidate also out polled the party’s candidate for governor. Michael Monaco ran for state Court of Appeals in 2018 and now holds the record for the highest number of Libertarian votes cast for a statewide office (167,748). He was also the first Libertarian candidate for any judicial seat. That achievement is doubly noteworthy because judicial races generally draw fewer votes than other statewide races. They are listed on the back of the ballot, and many people don’t even bother to flip their ballots over. The 2018 election was a unique, “blue-moon election,” meaning there were no contests for president, governor or U.S. Senate to attract voters. The only statewide races were judicial races. Pundits predicted low voter turnout. But that was not the case. Voter turnout was the highest for an off-year election since 1990 (53%). The 2016 election is still the high water mark for Libertarian votes in North Carolina. U.S. Senate candidate Sean Haugh got the highest number of Libertarian votes for a federal office (165,171 votes). That surpassed the votes for Lon Cecil got for governor (101,050), Jacki Cole earned for lieutenant governor (130,253), and Gary Johnson received for president (127,746). The most important outcome of the 2016 election for the LPNC, however, was that for the first time in party history both the gubernatorial and presidential candidates exceeded the number of votes the party needed to retain ballot statues. And all three candidates received the highest vote totals any Libertarian has ever earned for these offices. The number of people who vote Libertarian is more important than the number of people who register Libertarian. That holds even if you consider 10 percent of unaffiliated voters as “Libertarian.” Either way the numbers are low – but a substantially larger number of people vote Libertarian than register Libertarian. Once again, North Carolina’s elections are under a cloud. A U.S. District Court panel just ruled two Congressional districts unconstitutional. The people of North Carolina deserve a process where they choose their representatives, not the other way around. When it reconvenes in April, the state House should immediately consider and bring to a vote House Bill 92 to establish a nonpartisan redistricting process. Under this bill, the redistricting plan would be drawn up by a legislative office and submitted to the legislature for an up or down vote. It is based on the system used in Iowa successfully for years. For decades, North Carolina has had the most litigated redistricting process in the nation. Both Democrats and Republicans put partisan politics ahead of the interests of the people. As a result, elections were delayed and representation denied. When the Democrats controlled the process, the Republicans cried foul and challenged the plans in court. Now that Republicans are in power, they act no better. Whichever party is on top invariably acts in the same, self-serving way. Even though only two Congressional districts were ruled unconstitutional, redrawing the lines will have a ripple effect in adjoining districts. The problem goes far beyond using race to draw lines. The process is fundamentally flawed. The people of North Carolina need and deserve better. The state Libertarian Party supports an independent, nonpartisan, open, and transparent redistricting process. Party registration, voting history data, and the incumbent’s place of residence shouldn’t be considered when drawing district lines. The most important factor in the 2016 presidential election won’t be the candidates but the fact that the American electorate is now divided into two warring partisan camps. Moreover, this blind party allegiance won’t be based on support for “their” candidate, but on fear of the “other “ party – and its members. That is the conclusion of an essay “The Only Thing We Have to Fear Is the Other Party,” by Alan I. Abramowitz and Steven Webster of Emory University. Abramowitz and Webster discount the 10 percent of Americans who identify as independents, concluding that their vote will almost evenly divide between the Democratic and Republican candidates. This essay reinforces some of the points made by political analyst John Davis in his “Strike While the Ire is Hot” presentation to the 2015 Libertarian Party of North Carolina Convention. The formula for Libertarian candidate success is rather simple: Show up. Be nice. Win. That will be the message of Libertarian National Committee Chair Nicholas Sarwark in his keynote address to the Libertarian Party of North Carolina State Convention April 11. Sarwak said that when Libertarians run for office consistently, it shows people who aren’t libertarian that we’re a political party that’s here to stay, and will be here when they need us. When we do show up, we should be nice. The means focusing on finding areas of agreement with people, rather than trying to win arguments. This builds relationships that will last long after the election. “If we do these two things, and keep at it, we can win in the short and long term.” he concludes. Join us April 10-12, 2015 at the Hilton Garden Inn on Miami Blvd (just off I-40), Durham. Daniel Webster could have been talking about the Republican majority in the 2015 N.C. General Assembly. Not only do they mean to govern, they also mean to insure that only they can govern. Having the most restrictive ballot access laws in the nation isn’t enough. Nor is gerrymandering electoral districts to guarantee Republican victories. The Republicans want to make GOP stand for Grand Only Party. They’re perfectly content with keeping North Carolina a one-party state, as it was for many years under the Democrats. They just want it to be their party. Lenin, Stalin and Khrushchev would be proud. Free the Vote North Carolina has endorsed three candidates for the N.C. State House. They are: Cliff Moore, District 96; Trey Lowe, District 106, and; Norman Bossert, District 113. “We endorsed these candidates because they show fervent support for the individual’s right to vote and to vote effectively,” said Jordon Greene, Free the Voter founder and president. Greene noted that North Carolina now has the nation’s most restrictive ballot access law, requiring the highest number of signatures for a new party or independent candidate to get on the statewide ballot. “All too often politicians try to limit the ability of competitors to enter the race, and, over time have put strict barriers in place that effectively restrict the free speech and freedom of association in our state’s election process, thereby reducing voter freedom.” Greene said. 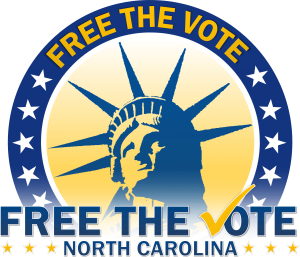 Free the Vote North Carolina sends out candidate surveys each election cycle after the primary and posts the results given by those candidates who respond. 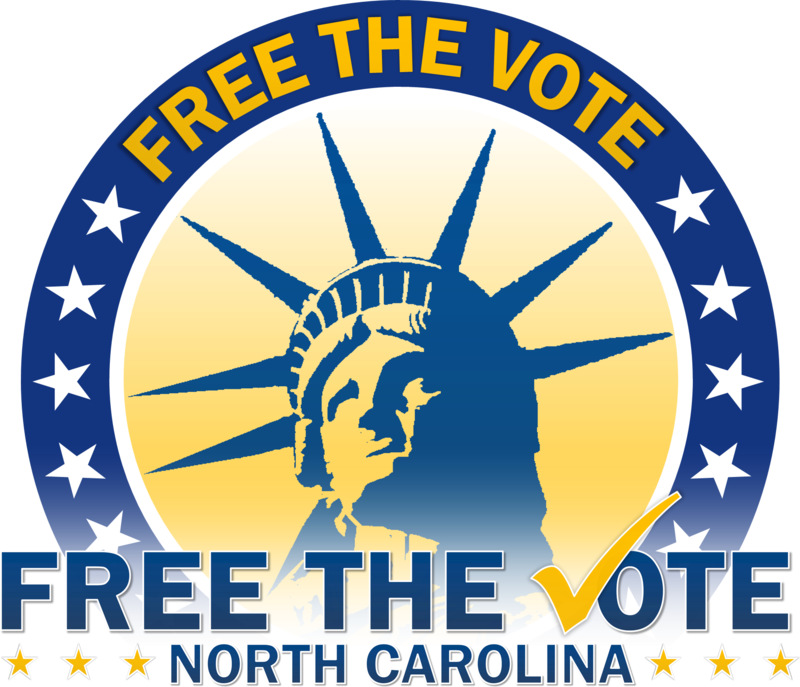 Free the Vote NC has issued a call to action to free HB 794, the Voter Freedom Act of 2013, from the state Senate Rules Committee. They are urging voters to call Rules Committee Chair Sen. Tom Apodaca, Senate Majority Leader Sen. Phil Berger, and the local state Senator on June 10. “If we don’t act soon, the bill will die and we’ll have to start all over again in January 2015 to reform North Carolina’s highly restrictive ballot access laws,” said Jordon Green, Free the Vote president. In order to keep HB 794 during the last legislative session, Free the Vote agreed to have the bill converted into a study bill. That effort was successful. The bill passed the House with a overwhelming 109-5 bipartisan vote. But once it got to the state Senate, it was sent to the rules committee where it has languished ever since. While the original bill would have dramatically lowered our state’s high ballot access barriers, the study bill, if passed, would task the Joint Elections Oversight Committee to look into all the restrictions on ballot access which we addressed in the original bill. The Libertarian Party of North Carolina held its first ever U.S. Senate candidate forum April 5 during the annual state convention in Durham. Candidates Tim D’Annunzio of Raeford and Sean Haugh of Durham answered questions submitted by Libertarians from across the state. The forum was streamed live and moderated by Barry Smith, Carolina Journal associate editor.